The Catskill Mountains, and the lands between the Delaware and lower Hudson river valleys, were the home of a society of clans known for their just and peaceful ways. 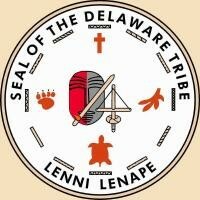 The Lenni Lenape native tribe who first lived in our valley were known by many names; The People (Lenape), The True People (Lenni Lenape), original people, the common people, the real original people, and The Grandfathers. Our honorable forebearers in this valley met the European influx with statemenship, civility, and the rule of law. Indeed they are the people all the other notheast tribes 'found' living here when their local history began. The residents of the Neversink Valley, and in general the region between the lower Hudson and Delaware river valley, were the most revered, fair, just people to be found. Their appellation as Grandfathers (although they were a matrilinear society) referred to their common role as fair arbiters, and just peace makers. The applomb with which the Lenape met the European invasion is refelected in their acceptence of the European designation of "Delaware" indians. This misnomer was borne, no doubt with some sense of humor, because this society was a mature one and secure in their identity, and a wise one who recognized there was no way to stop the overwhelming heedlessness and rapacity of the European "settlers".